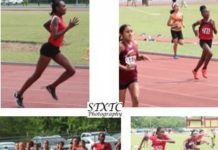 The Virgin Islands Track and Field Federation (VITFF) announced today that V.I. National Track and Field Team long-distance runner Eduardo Garcia made history running in the first NACAC Half-Marathon Championships. 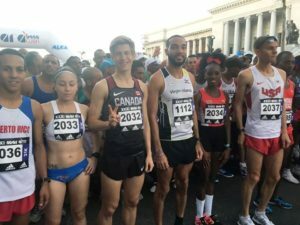 He had a strong performance in the race held in Havana, Cuba, on Saturday, Nov. 19, with a time of 1:12.29 for 4th place in the championship and 9th place overall in the Marabana Cuba series marathon, half-marathon and 10K event. The hot and humid conditions, always the case in the sub-tropics, would deny runners of faster times — in Garcia’s case well off his 1:06.02 (Naples, Fla., earlier this year) personal record for the 13.1-mile race. He was near that pace going into mile 10 and 11 but had to surrender to the conditions. Havana was his third race as a V.I. 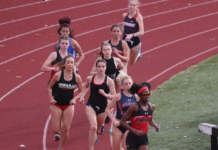 National Track and Field Team member; he finished fourth in the CAC Games 10K on the track in 2014 in Barranquilla, Colombia; he finished in the top 30 of the Rotterdam Marathon in Holland earlier in the year and is pointing toward the IAAF World Half-Marathon Championships in Valencia, Spain, in March then back to the track for the CAC Games 10K. He is in the build-up to the Tokyo Olympics marathon. 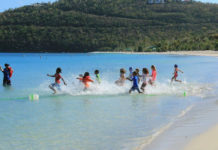 For VITFF information, logon to: http://virginislandspace.org/vitff.html or email: [email protected] or call: 643-2557.